My horse show experience — where you wear your number on your back — made for a surprise when I showed up to the race and saw everyone wearing the number on their fronts. Made it in 27:19, a full 13 minutes faster than any of my practice runs! Though I’ve always been pretty active, I’ve always detested running. I’d much prefer to lift weights, or ride a bike. Running bores me, frankly. I told this to my friend Jennie when we were discussing getting into better shape a few months ago. 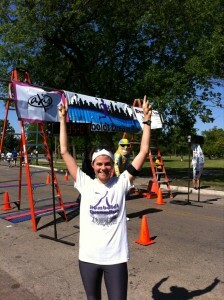 Her goal was to run her first 5K, she said. Inspired, I said that if she were going to run one, I would too. Then I sat on that and dreaded it, watching her run one, two, three, four of these races. I always had an excuse: The weather’s bad in Chicago, I’m traveling, I have other plans. Finally, when she hit her third run, I got fed up with myself. How bad could it be? I signed up for the Humboldt Dream Run, which benefits a local church’s homeless ministry. I figured that way at least my entry fee would go to a good cause if I chickened out. Which I fully expected to do. 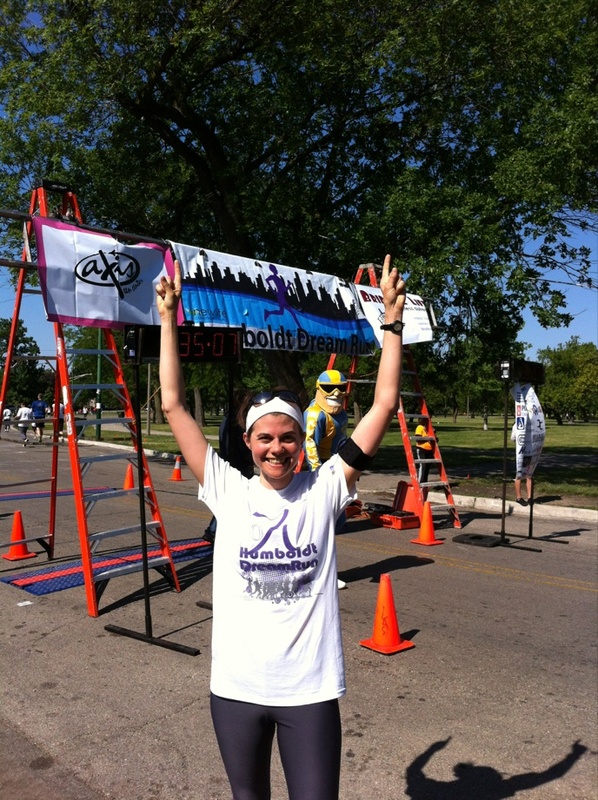 But on Saturday, I ran my very first 5K. I did not die! 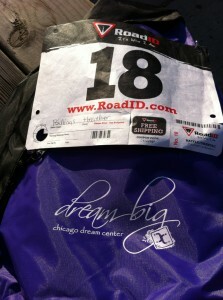 In fact, I came in 17th overall and 6th in the women’s division, with a time of 27:19! Best part of the race? 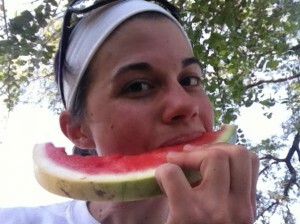 Free watermelon afterward. My friend and marathoner Layla (whom I just met for the first time in person after knowing her for more than a decade) was particularly excited for me. She’s “threatened” to take me running next time we’re in the same city, and warned me that this is probably a gateway drug. She might be right. New goal: Run the Hot Chocolate 15K — three times the length — in November. Haha, yes, it’s a gateway drug! You will definitely be able to conquer the 15K in November — you’ve definitely got enough determination and natural ability. And if you need any motivation, the amazing Chicago Marathon is in October and is worth spectating.